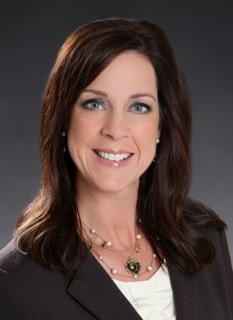 Amy Bennage McNally has been in the Financial Services Industry for over 15 years. Amy holds Financial Industry Regulatory (FINRA) Series 7, 63, 24, Series 65, as well as Life, Accident, and Health Licenses in many different states. Amy graduated from St. John Fisher College in Rochester, NY with a BA in Economics and also spent 10 years in customer service. While working at the home office of Wall Street Financial Group, Amy was a branch manager and supervised other representatives and traveled around the world to train new advisors. Amy is dedicated to developing lasting relationships with all of her clients. Having a customer service background has made service and communication her top priorities. Brian H. Solomon is licensed to sell securities in the following states: CA, FL, MO, & OK. Registered Representative offering securities and advisory services through Independent Financial Group, LLC, a registered broker-dealer and investment advisor. Member FINRA/SIPC. Independent Financial Group, LLC and Solomon Wealth Management are unaffiliated entities. CA Insurance License #0728302. Office of Supervisory Jurisdiction: 12671 High Bluff Dr. Suite 200, San Diego, CA 92130.